Del (Peter Dinklage) is alone in the world. After the human race is wiped out, he lives in his small, empty town, content in his solitude and the utopia he’s methodically created for himself — until he is discovered by Grace (Elle Fanning), an interloper whose history and motives are obscure. Worse yet, she wants to stay. PETER DINKLAGE is an American actor. Since his breakout role in The Station Agent (2003), he has appeared in numerous films and theatre plays. Since 2011, Dinklage has portrayed Tyrion Lannister in the HBO series Game of Thrones. For this he won an Emmy for Outstanding Supporting Actor in a Drama Series and a Golden Globe Award for Best Supporting Actor - Series, Miniseries or Television Film in 2011. Peter Hayden Dinklage was born in Morristown, New Jersey, to Diane (Hayden), an elementary school teacher, and John Carl Dinklage, an insurance salesman. He is of German, Irish, and English descent. In 1991, he received a degree in drama from Bennington College and began his career. His exquisite theatre work that expresses brilliantly the unique range of his acting qualities, includes remarkable performances full of profoundness, charisma, intelligence, sensation and insights in plays such as "The Killing Act", "Imperfect Love", Ivan Turgenev's "A Month in the Country" as well as the title roles in William Shakespeare's "Richard III" and in Anton Chekhov's "Uncle Vanya". Peter Dinklage received acclaim for his first film, Living in Oblivion (1995), where he played an actor frustrated with the limited and caricatured roles offered to actors who have dwarfism. In 2003, he starred in The Station Agent (2003), written and directed by Tom McCarthy. The movie received critical praise as well as Peter Dinklage's work including nominations such as for Outstanding Performance by a Male Actor in a Leading Role at the "Screen Actors Guild" and Best Male Lead at the "Film Independent Spirit Awards". One of his next roles has been the one of Miles Finch, an acclaimed children's book author, in Elf (2003). Find Me Guilty (2006), the original English Death at a Funeral(2007), its American remake Death at a Funeral (2010), Penelope (2006), The Chronicles of Narnia: Prince Caspian (2008) and X-Men: Days of Future Past (2014) are also included in his brilliant work concerning feature films. His fine work in television also includes shows such as Entourage (2004), Life as We Know It (2004), Threshold (2005) and Nip/Tuck (2003). In 2011, the primary role of Tyrion Lannister, a man of sharp wit and bright spirit, in Game of Thrones (2011), was incarnated with unique greatness in Dinklage's unparalleled performance. The series is an adaptation of author George R. R. Martin's A Song of Ice and Fire series, and his work has received widespread praise, highlighted by his receiving the Emmy Award for Outstanding Supporting Actor in a Drama Series at The 63rd Primetime Emmy Awards (2011) and The 67th Primetime Emmy Awards (2015), as well as the 2012 Golden Globe Award for Best Supporting Actor - Series, Miniseries or Television Film. In 2012, Dinklage voiced Captain Gutt in Ice Age: Continental Drift. In 2014, he starred in the comedy horror film Knights of Badassdom and portrayed Bolivar Trask in the superhero film X-Men: Days of Future Past. In 2016, Dinklage provided the voice of The Mighty Eagle in The Angry Birds Movie. MARY ELLE FANNING was born on the 9th of April 1998 in Conyers, Georgia, USA, to Heather Joy (Arrington) and Steven J. Fanning. Her mother played professional tennis, and her father, now an electronics salesman, played minor league baseball. She is of German, Irish, English, French, and Channel Islander descent. Elle's ascent into stardom began when she was almost three years old, when she played the younger version of her sister, Dakota Fanning's, character Lucy in the drama film I Am Sam (2001). She then played younger Dakota again in Taken (2002) as Allie, age 3. But her first big independent movie without her sister was in 2003's Daddy Day Care (2003) as Jamie. She then had two guest appearances on Judging Amy (1999) and CSI: Miami(2002). Elle was becoming more successful and she got another role, in 2004's The Door in the Floor (2004) with Kim Basinger. Her career kept improving, as she had two movies in 2005, Because of Winn-Dixie (2005) and I Want Someone to Eat Cheese With (2006). She has since starred in a number of prominent films, including The Curious Case of Benjamin Button (2008), Super 8 (2011), We Bought a Zoo (2011), and Maleficent(2014). 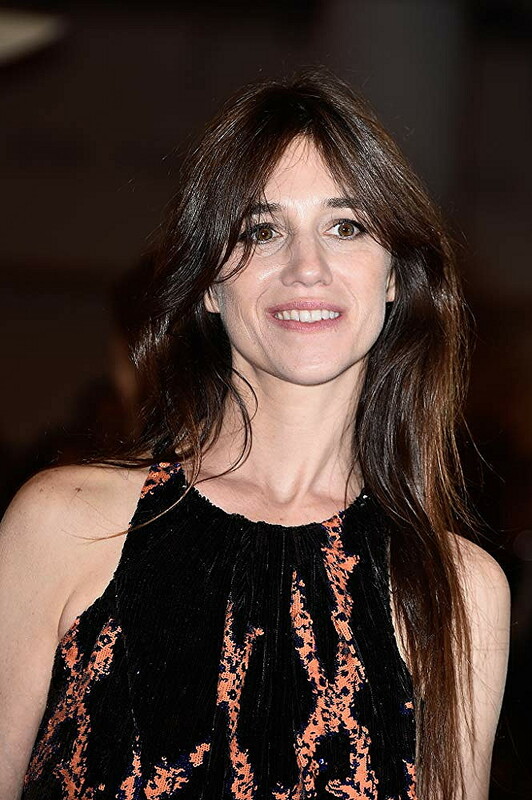 CHARLOTTE GAINSBOURG was born in London, England in 1971. She is an Anglo-French actress and singer. The daughter of English actress Jane Birkin and French singer and songwriter Serge Gainsbourg, she was raised in Paris. Gainsbourg made her motion picture debut in 1984. In 1986, Gainsbourg won a César Award for "Most Promising Actress", and, in 2000, she won "Best Supporting Actress" for the film La Bûche. In 1993, Gainsbourg made her English speaking debut in The Cement Garden, written and directed by her uncle, Andrew Birkin. She made her stage debut in 1994 in David Mamet's Oleanna at the Théâtre de la Gaîté-Montparnasse. In 1996, Gainsbourg starred as the title character in Jane Eyre, a film adaption of Charlotte Brontë's 1847 novel. In 2006, Gainsbourg appeared alongside Gael García Bernal in Michel Gondry's The Science of Sleep. In 2007, she appeared as Claire in the Todd Haynes-directed Bob Dylan biopic I'm Not There, also contributing a cover of the Dylan song "Just Like a Woman" to the film soundtrack. In 2009, she won the award for Best Actress at the 2009 Cannes Film Festival for the film Antichrist. Gainsbourg starred in the French/Australian production, The Tree, released in 2010, and in Lars Von Trier's science fiction disaster film, Melancholia. PAL GIAMATTI is an American actor who has worked steadily and prominently for over twenty years, and is best known for leading roles in the films American Splendor (2003), Sideways (2004), and Barney's Version (2010) (for which he won a Golden Globe), and supporting roles in the films Cinderella Man (2005), The Illusionist (2006), and San Andreas (2015). 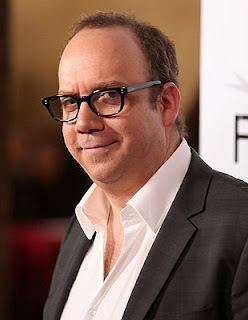 Paul Edward Valentine Giamatti was born June 6, 1967 in New Haven, Connecticut, and is the youngest of three children. His mother, the former Toni Marilyn Smith, was an actress before marrying. His father, Bart Giamatti (Angelo Bartlett Giamatti), was a professor of Renaissance Literature at Yale University, and went on to become the university's youngest president (in 1986, Bart was appointed president of baseball's National League. He became Commissioner of Baseball on April 1, 1989 and served for five months until his untimely death on September 1, 1989. He was commissioner at the time Pete Rose was banned from the game). Paul's father also wrote six books. Paul's older brother, Marcus Giamatti, is also an actor. His sister, Elena, designs jewelry. 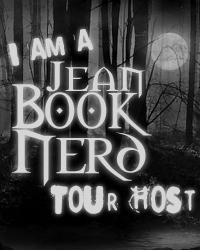 His ancestry is Italian (from his paternal grandfather), German, English, Dutch, Scottish, and Irish. Paul graduated from Choate Rosemary Hall prep school, majored in English at Yale, and obtained his Master's Degree in Fine Arts, with his major in drama from the Yale University School of Drama. His acting roots are in theatre, from his college days at Yale, to regional productions (Seattle, San Diego and Williamstown, Massachusetts), to Broadway.